A collection of carbon molecules has been been identified by Rover on Mars. While this discovery by no means confirms life on the Red planet, it does make things more interesting. It does not have to necessarily be organic, nor formed on the planet, since it could have arrived by a meteor, or is a result of a chemical reaction, but it could also be real organic matter. Could. Now things are starting to make more sense. We still don’t know the source of them, but they’re there. They’re not missing any more. However, this was no easy task, since many factors had to be considered, any many false readings had to be ignored. 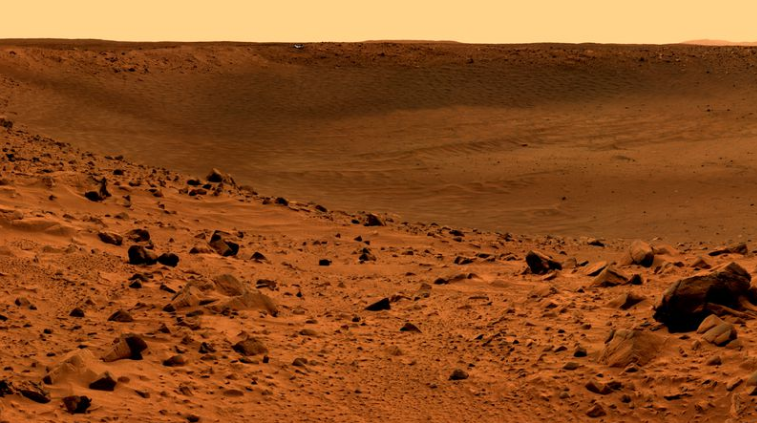 So this raises the possibility that there really was some kind of life on Mars, ages ago. That, or the organic matter came from space or a chemical reaction, killing the possibility of life on Mars. Be the first to comment on "Organic molecules found on Mars"